Canned Iguana Food 6 oz. Contains ingredients such as apples and carrots, with a natural flavoring agent and bright color to entice iguanas to feed. Choose from adult formula and juvenile forumula with extra protein. 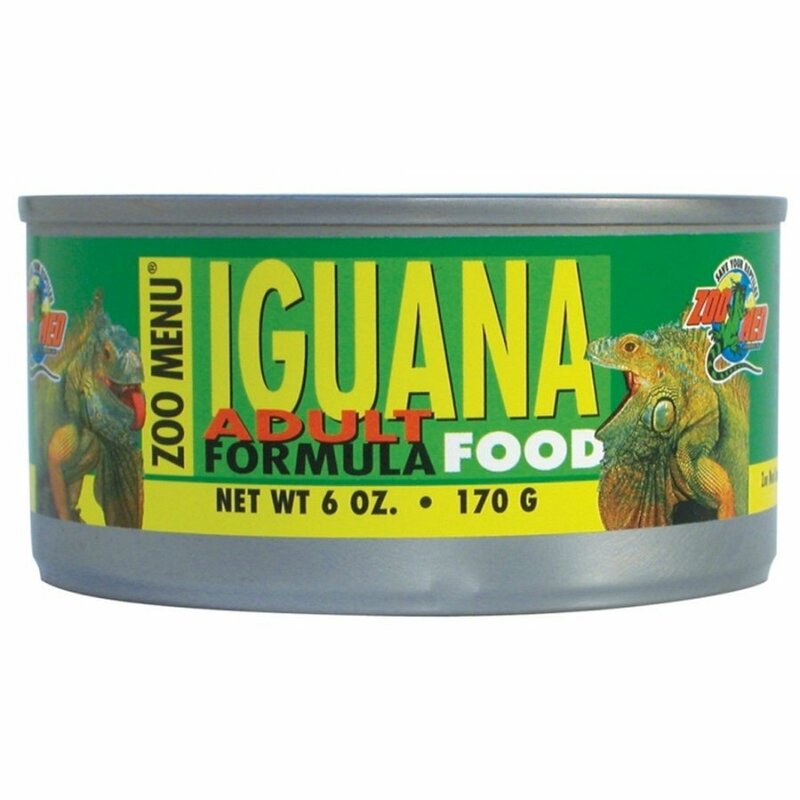 Canned Iguana Food 6 oz. has different options and/or variations, please choose below. Zoo Med's most popular canned food. Contains ingredients such as apples and carrots, with a natural flavoring agent and bright color to entice iguanas to feed. It can occasionally be fed to other reptiles such as box turtles, tortoises, blue-tongue and prehensile-tailed skinks, water dragons, bearded dragons, hermit crabs, etc. The main difference between formulas is the protein levels. What do juvenile iguanas need? The same great nutritional balances as the adults, but twice the protein content to enhance growth and meet the dietary needs of young iguanas. Get exactly that in Zoo Med's canned Iguana Diet.